It’s your car. And it’s your right to have it repaired properly. Having your vehicle repaired at a certified collision centre is the right choice. And it’s your insurance company’s obligation to follow your wishes. Peel away the skin of a modern car and you’ll find a network of wires, motors, sensors, and switches, held together with advanced materials and construction techniques. That’s why a modern collision-repair facility like Pfaff Autoworks is so much more than a “body shop.” We’re responsible to you, not just for bringing your car’s body back to cosmetic perfection; we have to ensure all of the systems inside are functioning as well. This takes a substantial investment in tools and equipment, training and technology, and the exclusive use of OEM parts, paint, and procedures. 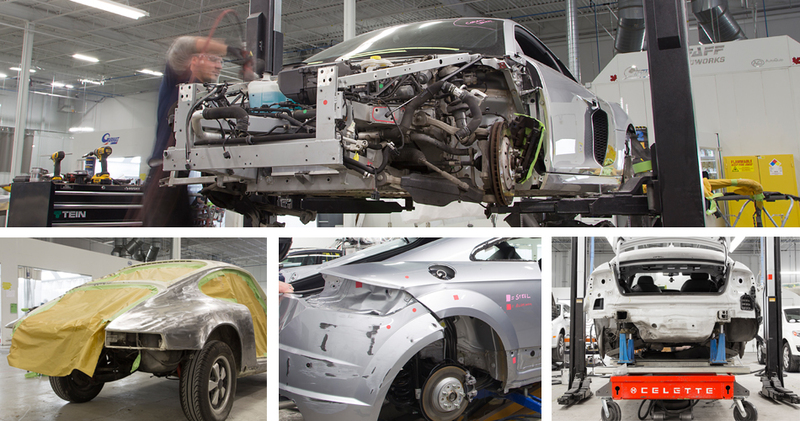 We fix your car the way it was built – and with modern multi-material structures, that’s the only way. Our Celette bench uses the same techniques to repair a vehicle’s structure used to make it in the first place. Then, your vehicle is refinished using factory finishes and procedures, ensuring it maintains the factory anti-corrosion warranty. The exclusive use of OEM parts and procedures also means every vehicle function – from locks and windows to blind-spot monitoring, lane departure warning, parking sensors, and rear-view-cameras, works correctly.